Saturday the 29th of October, Tom and Ben from our Built Environment team are off to Nepal to continue their voluntary work in Garma. On their two week trip the boys will visit Garma High School to participate first hand in the schools reconstruction program. Ben and Tom will arrive in Kathmandu and begin a 3 day trek to the school where they will review the masterplan and oversee construction. They will also travel to other schools in the region on behalf of The Australian Himalayan Foundation. 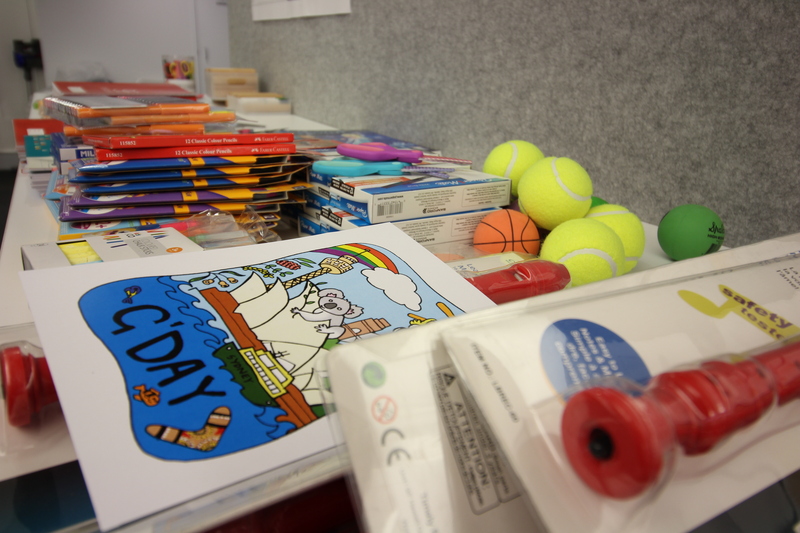 Our team at Davenport Campbell team collected gifts which include recorders, art supplies, bracelet making kits and school books for Ben and Tom to distribute to the children at Garma School. If you would like to contribute to our efforts in Nepal please click here to donate to the Climb for Education foundation. Look out for live updates from Ben and Tom on our Facebook, Instagram and Nepal page.